The London Branch of the Association for Language Learning hosted another Greg Horton Special yesterday, inviting Greg to speak about his inspirational and award winning project for getting pupils to use the target language spontaneously and in an authentic way – Group Talk. 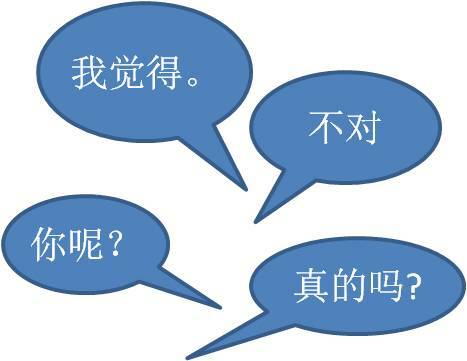 Following his previous visit about 18 months ago I got together with our lovely Hanban teacher and put together the following presentation to teach pupils the key phrases for introducing the first stage of Group Talk to the my Year 12 learners. They responded incredibly well and with great enthusiasm; they were able to see how the core phrases could be used across a range of topics. To begin with we gave them the following sheet of these core Group Talk phrases laminated for reference on the desk, but as they grew more familiar with them the support became less necessary. What is particularly gratifying is the fact that they will now come out with some of the core phrases at an appropriate moment during the normal course of a lesson. For example, I might make a statement about something and they comment with 真的吗?！ (really?!) or 我不同意 (I don’t agree) off their own bat. You are currently browsing the Learning and Teaching Languages blog archives for December, 2013. Assessment on the go – a webinar brought to you by the ALL London branch! The early bird catches the worm…..
Eurovision – it’s that time of the year again….